Check out images of Cal Poly faculty members ready to fight for a change. On Feb. 8, the labor union that represents 23,000 professors, lecturers, counselors, librarians, and athletic coaches working in the California State University (CSU) system made an announcement with no precedent or reference point in higher education’s history. 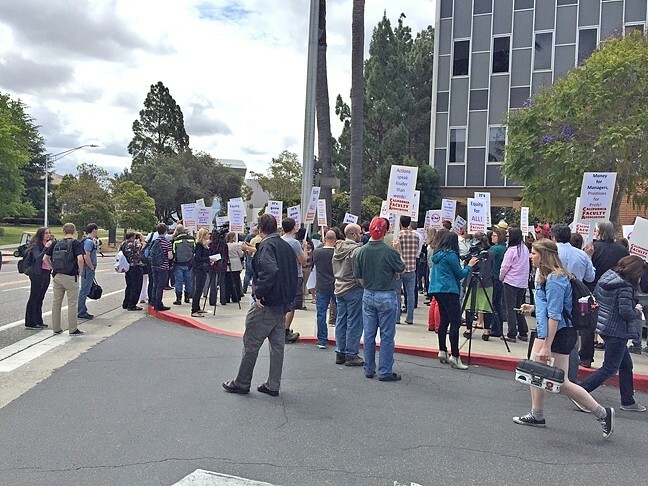 The California Faculty Association (CFA) announced plans for a five-day faculty strike, to take place on April 13 to 15 and April 18 to 19 on all 23 CSU campuses in the state. TENSION BREWING: Faculty members protest their contract in front of President Armstrong’s office last spring. Arriving at the decision to strike, which union leaders called “the nuclear option,” didn’t come about overnight. Many CSU faculty members, including Cal Poly workers, have gone seven years without a meaningful boost in salary. Since May 2015, the CFA has engaged in tense negotiations with the CSU at the bargaining table for better wages. The CFA demands a 5 percent “across the board” increase, while the CSU is offering faculty a 2 percent raise. Good faith negotiations devolved into impasse mediation, which thus far is providing no compromises or common ground. Once a strike was on the table, the decision by the CFA to pull the trigger was resolute. In November, 94 percent of CFA members on CSU campuses voted to authorize a strike. In that vote, Cal Poly saw an 80 percent voter turnout of its union members, which totals slightly more than 50 percent of Cal Poly’s roughly 1,400 eligible members. Whether the strikes take place depends on how the CSU Board of Trustees and CSU Chancellor Timothy White react to the threat. If they refuse to budge from the offer of a 2 percent raise, a faculty strike would go forward as the largest withholding of labor ever seen in U.S. education. On each campus, the predicament facing local faculty and the friction at hand has its own unique story. At Cal Poly, faculty salaries are losing ground to inflation and the increasing cost of living in SLO County while administrative salaries are flourishing. President Jeffrey Armstrong’s leadership during this time is being called into question, as the way in which Cal Poly advances post-Great Recession is causing discord in the university community. In a stroke of irony, the potential strike dates in April sandwich Cal Poly’s Open House Weekend, a proud moment of the year to be a Mustang. Prospective students, families, alumni, and donors come to campus from all over the country as staff and faculty showcase their departments and activities. 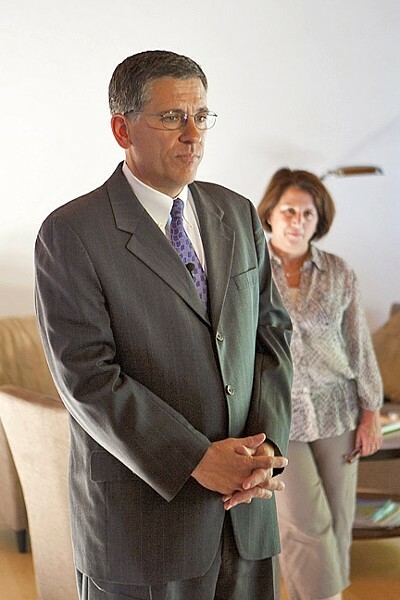 ADMINISTRATION OVERLOAD: Cal Poly President Jeffrey Armstrong has been criticized by some faculty for his spending on management and fundraising positions in his tenure, leaving less at his disposal to boost faculty pay. 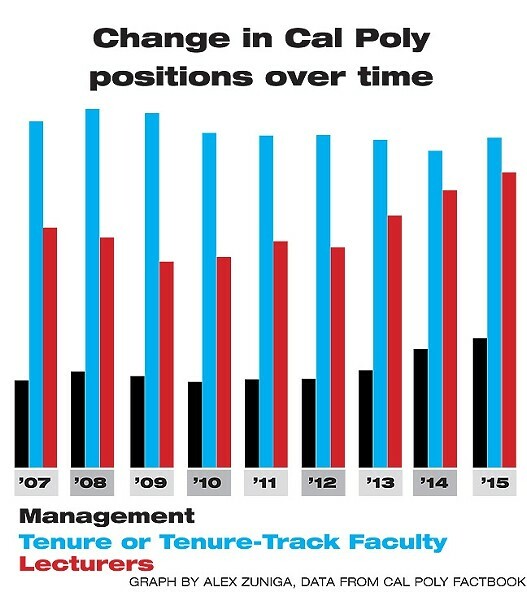 Cal Poly data show that university management positions have grown by 48 percent since 2007. 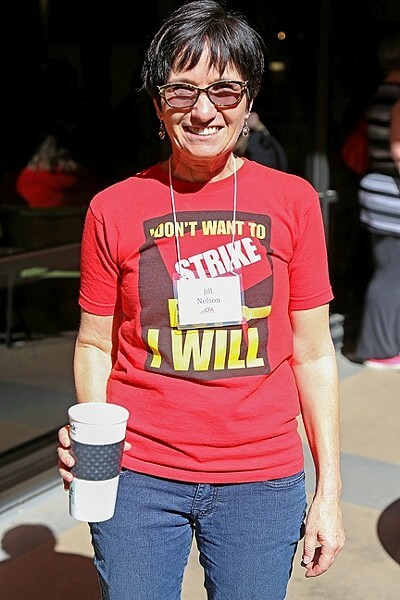 Lisa Kawamura, a lecturer in Communication Studies at Cal Poly and a resident of Grover Beach, is one of many faculty members working in the CSU system whose livelihood has been directly impacted by working for several years without a decent pay raise. A full-time lecturer at Cal Poly since 1998 teaching public speaking and debate, among other subjects, Kawamura reached a ceiling for official promotions years ago because she doesn’t have a doctorate. 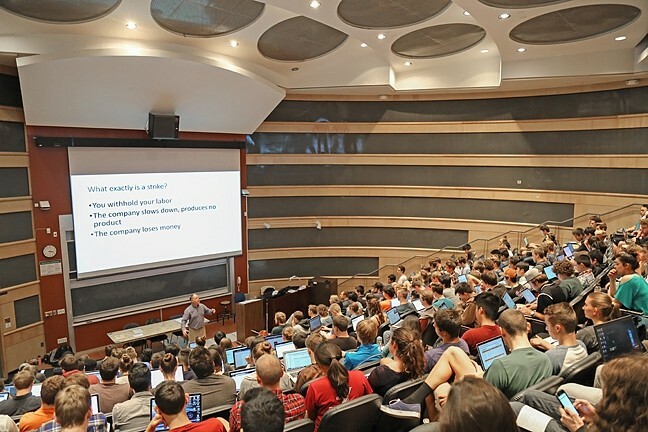 Lecturers are on average the lowest paid group within the faculty, making typically between $40,000 and $60,000 per year, and they make up about 47 percent on the Cal Poly teaching force, according to the Cal Poly 2015 Fact Book. Kawamura has to rely on raises bargained by the CFA to lift her income and keep pace with inflation and, to the extent possible, San Luis Obispo County’s rising cost of living. But following the onset of the Great Recession in 2008, those raises essentially stopped coming. As part of a 2007 to 2010 contract with the CSU, the CFA secured 5 and 6 percent raises for union members. After the economy crashed, those raises were revisited and renegotiated into 10 percent furloughs. 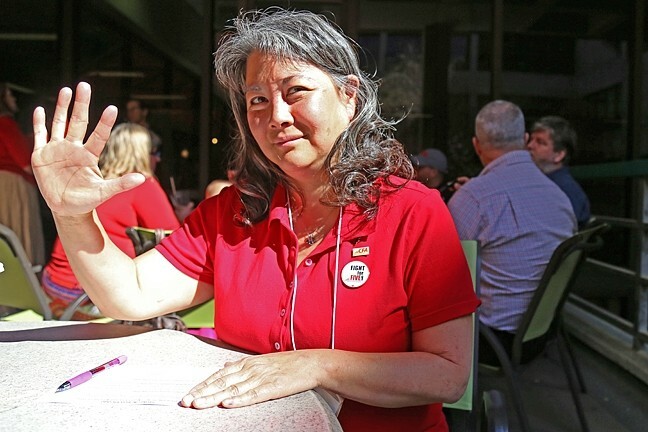 FIGHT FOR FIVE: Communication Studies lecturer Lisa Kawamura holds up five fingers for a 5 percent salary raise for CSU faculty. The California Faculty Association announced plans for a statewide strike at all 23 CSU campuses if Chancellor Timothy White doesn’t move from his latest offer of a 2 percent raise. The “2009 Year of the Furlough” is well known at Cal Poly as a regrettable year where administrators and faculty were instructed to work 10 percent less for 10 percent less pay. The raises offered to faculty since have been relatively paltry: $80 per month more in 2013 and a 1.6 to 3.6 percent increase in 2014, depending on the faculty group. “I have not had a raise, basically, since 2008,” Kawamura said. As years passed and inflation and cost of living climbed, Kawamura and many of her colleagues’ income lost value and that brought serious financial stress to their lives. In a bad stroke of luck, Kawamura’s partner recently lost his job. The couple and their 4-year-old son became dependent on Kawamura’s income from Cal Poly, plus an additional part-time job at Cuesta College that she picked up. 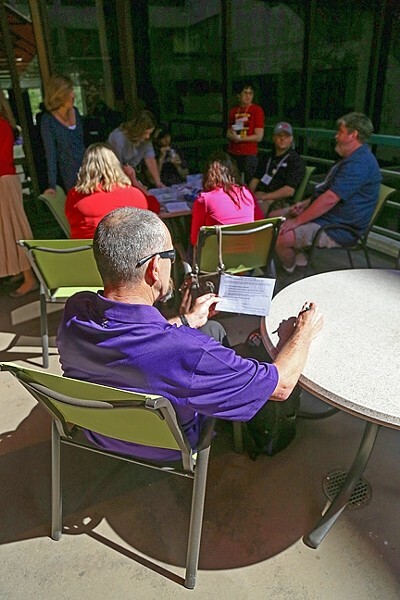 Longtime lecturers at Cal Poly aren’t the only faculty members affected by their salaries. Kate, whose name has been changed to protect her identity, is in her first year as an assistant professor in Cal Poly’s College of Liberal Arts. PLEDGE TO STRIKE: Agricultural lecturer Robert Aversano signs a strike pledge at a recent faculty union question-and-answer meeting at the Cal Poly library. Compared to some of her colleagues, Kate is better off and can make a better living than some of her fellow professors and lecturers. Kate recently received her doctorate from an out-of-state public university, and she attended a California State University for her bachelor’s and master’s degrees. At every stop of her educational journey, the institution she was attending was plagued with budget crises. As a graduate student at a CSU in 2009, Kate was hit with a financial double-whammy: As an employee of the university, she lost 10 percent of her already low income in the furloughs. And at the same time, her tuition increased by 30 percent. The solution? Like so many others in her position, Kate took out thousands of dollars in student loans to make it through. The payments on those loans start becoming due next month. Even though Kate said she has her dream job, it might not be enough to make a life on the Central Coast. “I’m lucky enough to have a fiancé who has a good income and so as long as that remains what it is, we’ll probably be OK financially. But I don’t know, even with our combined income, if we’ll ever be able to afford a house here in San Luis Obispo County,” she said. To the CSU Board of Trustees and Chancellor Timothy White, the monetary difference between a 2 percent raise and a 5 percent raise to faculty members across the system is considerable. Two percent would set the CSU back $33 million, while five would cost $102 million after factoring in caveats like boosts in service salary increases and a “me too” clause that would grant 5 percent raises to staff employees as well as faculty. SEE THE POSITIVES: Jill Nelson (pictured) is an associate professor of architectural engineering and a member of the executive board for Cal Poly’s local faculty union chapter. Nelson said she’s focused on the positive changes that can occur if faculty members are better compensated. Toni Molle, a CSU public affairs official, stated that the $69 million which CSU faculty are demanding has already been budgeted for other priorities. “Our budget priorities are student success and completion initiatives, funded enrollment, mandatory costs, employee compensation pool, infrastructure, and strategic investments,” Molle wrote to New Times in an email. To many CSU faculty, those are not adequate reasons to deny the existing faculty what they feel they are owed after years of wage stagnancy. Local faculty members look at the growth of the Cal Poly administration, which has increased in size by 48 percent since 2007, as evidence that their superiors have lost their way. In an interview with New Times, Cal Poly President Jeffrey Armstrong expressed empathy for faculty but defended the job he’s done with limited resources. Armstrong cited $10 million of university funds that has been “truly discretionary,” and stated $2 million of it has gone toward recent equity boosts given to some Cal Poly faculty and staff. “That’s the most we could do,” he said. Armstrong emphasized the challenge of balancing the needs of a large and complex institution. “When you make decisions that are best on a holistic perspective, you’re always going to have some people who are upset at you. That’s true in any organization I’ve ever been in,” he said. Armstrong said he did choose to spend $2.3 million on hiring a round of fundraising employees, something he believes was an important investment in Cal Poly’s financial future. He claimed that for every 7 cents Cal Poly spends on fundraising, the university raises $1. On an afternoon in early March, Glen Thorncroft, a professor in the College of Engineering, stepped into an auditorium packed with nearly 200 freshmen to deliver a guest lecture. The class was Freshman Orientation to Mechanical Engineering and the subject of the day was ethics. While ethics don’t typically show up in thermodynamics and renewable energy, which are Thorncroft’s areas of expertise, the topic was pertinent for different reasons. “Ethics of a Strike in an Educational Institution,” Thorncroft’s lecture slide read. As a member of the executive board of the Cal Poly’s CFA chapter, Thorncroft was invited to discuss the dynamics and dilemmas of a strike with students. “I wanted students simply to understand that we don’t take this action lightly,” Thorncroft said. “We faculty don’t forget for a minute that they are the very reason we are here. OUT IN THE OPEN: Glen Thorncroft, a professor of mechanical engineering, gives a guest lecture in March to a freshmen class about the ethics of a strike in an educational institution. Cal Poly senior Vittorio Monteverdi told New Times that generally speaking, students are supportive of their teachers in their cause. Monteverdi admitted that he was initially concerned about the impacts of the strike on his progress toward graduation. Unbeknownst to Monteverdi, if the CSU doesn’t grant the 5 percent raise after five days of striking, the union has stated it could very well hold out for longer—whatever it takes. The final round of fact-finding as part of the impasse is set for release in mid-March to early April, after which the union is legally obligated to wait a week for a new offer before striking.